💁🏻Hey girls, welcome to my page! 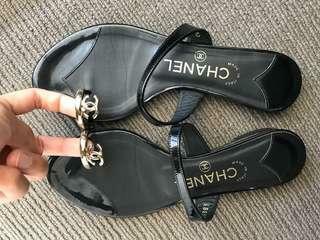 👠Selling new/pre-loved items. 💳 Bank transfer or cash. Meet up or postage available. 🚫Time wasters will be blocked (100%) 🙅🏻 No refunds. 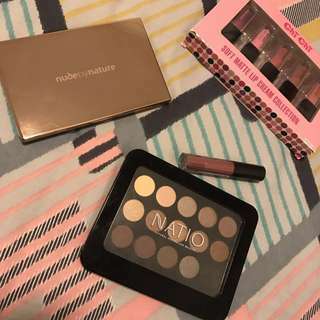 💖 Happy shopping! 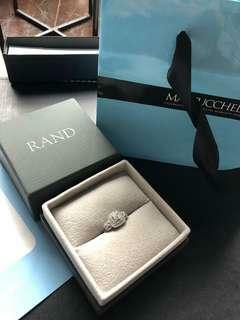 Beautiful Rand Diamond Ring RRP $6249! 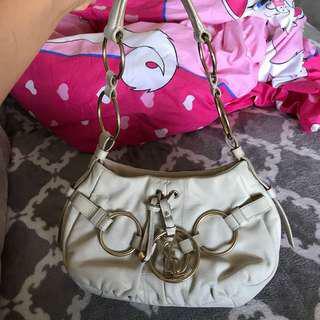 100% authentic Yves Saint Laurent bag in cream/white colour. Very cute, little evening or day bag. 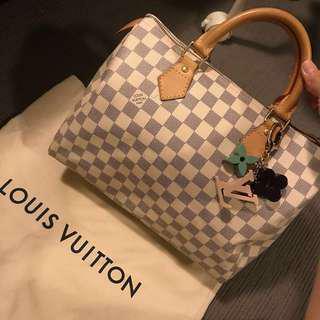 Has a detachable “YSL” bag charm. Very dark brownish/black satin lining inside the bag. 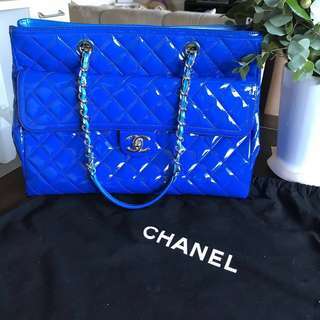 Feel free to get it authenticated via purse forum. Bargain price! 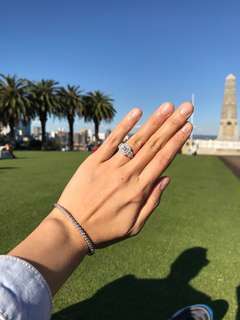 Want to sell quick to fund another purchase. 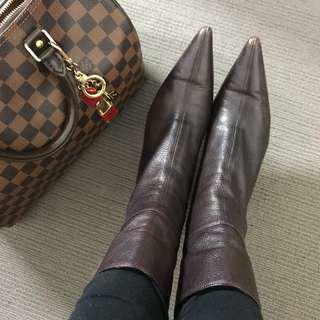 100% authentic brown leather Gucci pointed toe boots in size 7 AU/ 38 EU. Good condition! Tip of boots has a little colour fade, normal sign of wear, but still looks amazing! Pick up or postage available. 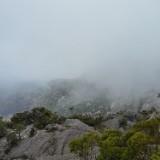 Free postage Australia wide. 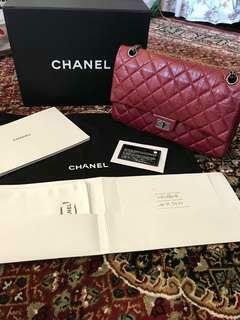 100% Authentic Chanel Medium Classic Flap in Patent leather. In amazing condition. 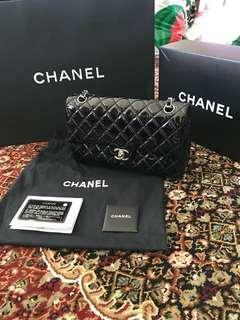 Comes in full set minus the receipt (Chanel shopping bag, box, dust bag, authenticity card, care booklet) Current retail price is $7240. 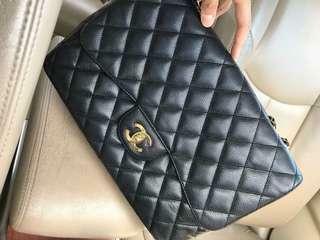 Great investment piece as the prices for Chanel classic flaps always increases! Sold out in store and online! 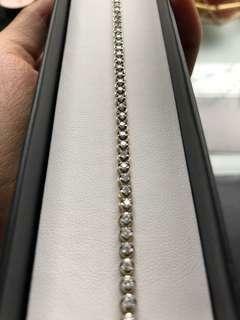 Pandora alluring brilliant bangle, absolutely stunning. Size small. Comes with box and shopping bag. Used once to take the pictures. RRP $149. Price is FIRM $100. 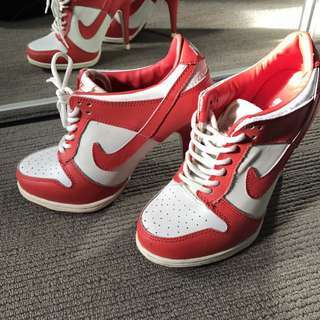 Red/ white Nike heels for sale. Still in good condition. 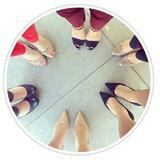 Some normal wear and tear on the back of heels, Size 7. 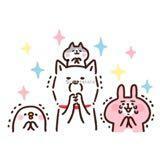 Postage will cost $15 extra. Good condition, comes with authenticity card and care card. Also comes with key + lock. 100% Authentic. 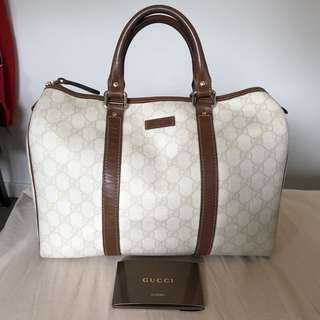 Preloved Gucci Boston bag in white cream colour, guaranteed 100% authentic or your money back. 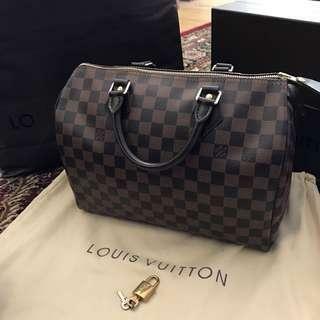 Some minor marks on the outside of bag, and slight darkening of leather at the back of bag.Interior very clean. Selling cheap! Comes with a little booklet. No dust bag. Sold as is.